Communication is pivotal for the success of any business. NEC has been renowned for supplying Australians with quality business phone systems for many years. From small start-ups to grand sized corporations, NEC phone systems for business are efficient and easy-to-use to suit every scenario. NEC’s current PBX devices now promote more efficiency and productivity than ever before. As well as the having the traditional technology, their new hybrid system is fitted with the latest in IP technology compatible with economical business VoIP plans and SIP trunk plans. 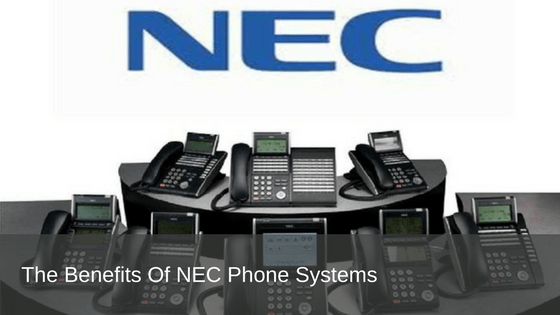 What are the benefits of these NEC phone systems? NEC UNIVERGE is a family of IP and digital business phone systems that give some impressive power to the standard desktop phone. They are designed to be easily customisable to meet individual communication requirements. Through IP business phone systems, users can log on to any IP terminal located anywhere on the business’ network. Once they log in, their profile and quality of service settings are instantly at hand. There is no requirement to re-configure the system or to pay often expensive re-cabling fees. Better still, there is no productivity lost while the employee has to wait for their phone to be integrated. NEC’s UNIVERGE Desktop Digital Terminals give staff the ability to offer an exemplary level of customer service. These intelligent business phones connect people with the information, application and tools needed to take performance to profitable heights. NEC’s UNIVERGE Desktop IP Terminals give all the features and functionality you expect of a traditional business phone system, with the integration of IP applications. Voice and data are no longer restricted to the network or a single PC – instead, they are controlled by the end user. Just like the DTL Series, these IP terminals connect people with the information, application and tools needed to enhance performance and profits. The IP Series business phones are user-friendly, ergonomically designed, with various models to select from. This series includes menu-driven soft key functions and easy access function keys. This delivers more versatility and programmability controlled by the user. To learn more about the various benefits and features of the full suite of NEC phone systems, give our team a call. We also offer NEC phone systems support. Want more information and guidance to secure the best business phone system, VoIP business plan, or SIP phone plan for your business? Contact us today for expert advice – call 1800 007 229 or visit www.prosum.com.au.